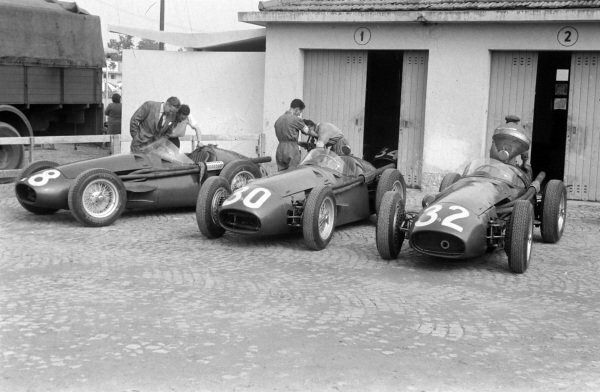 The Maserati 250Fs of Roberto Mieres (#28), Luigi Musso (#30), and Peter Collins (#32). 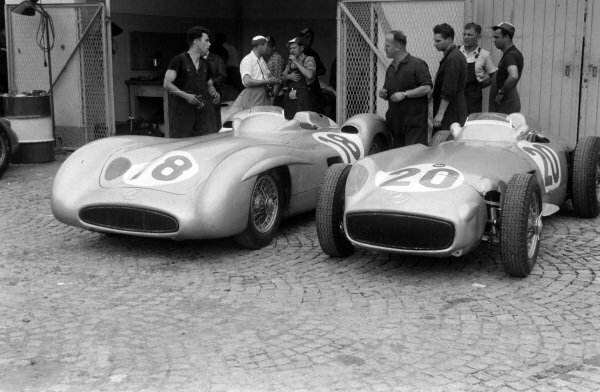 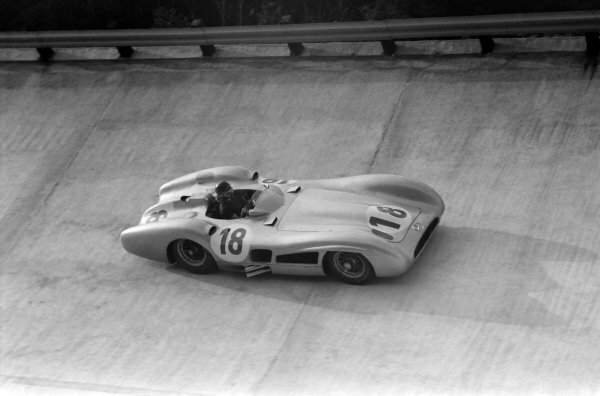 The Mercedes W196s of Juan Manuel Fangio (#18) and Karl Kling (#20). 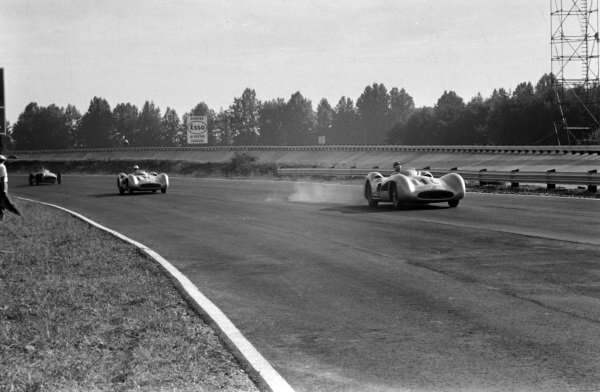 Stirling Moss, Mercedes W196, leads Juan Manuel Fangio, Mercedes W196. 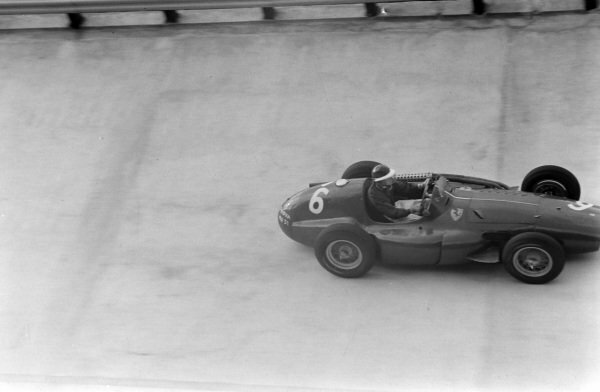 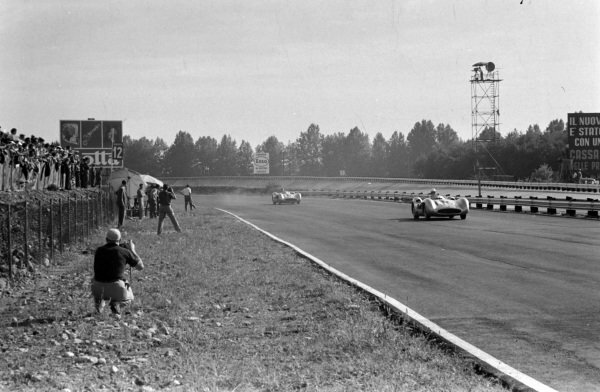 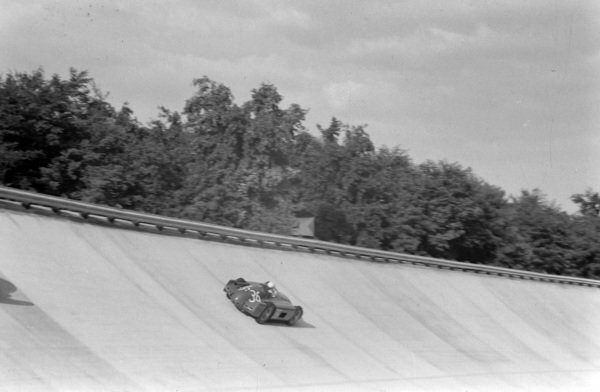 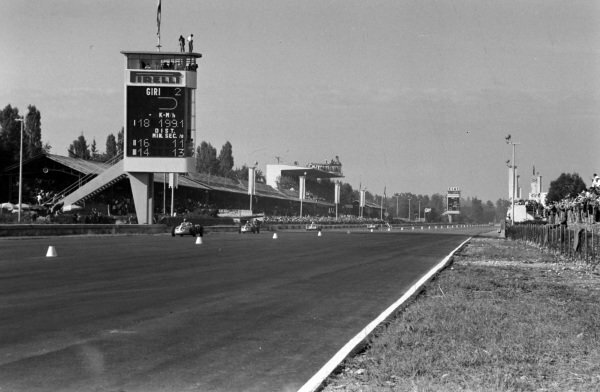 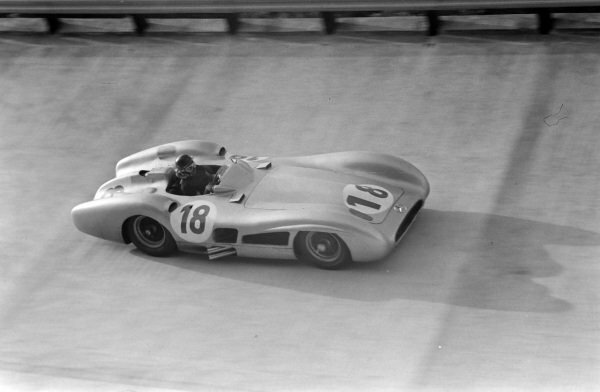 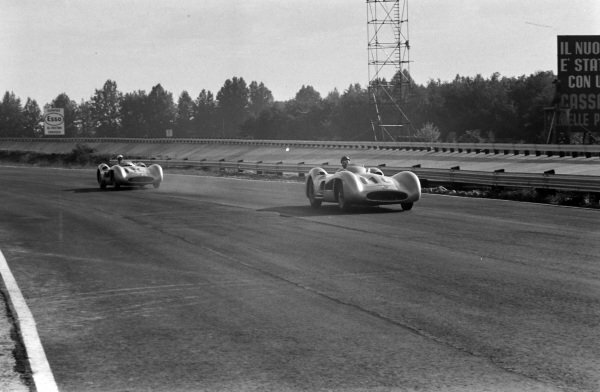 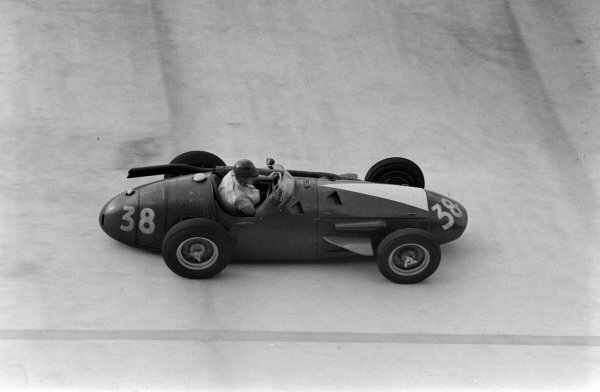 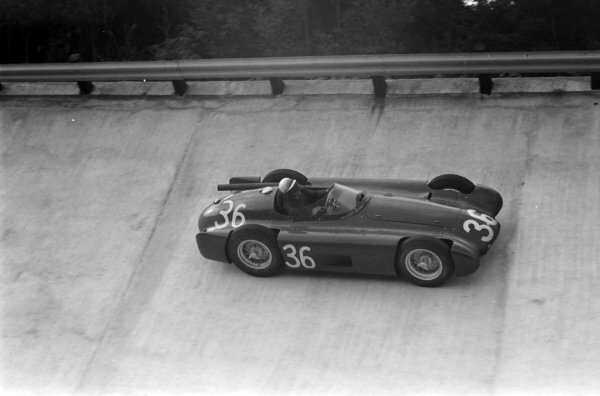 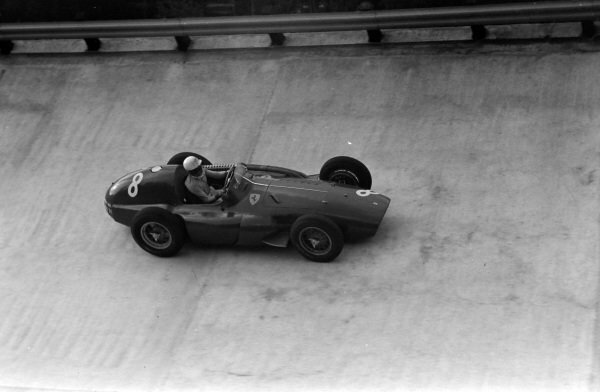 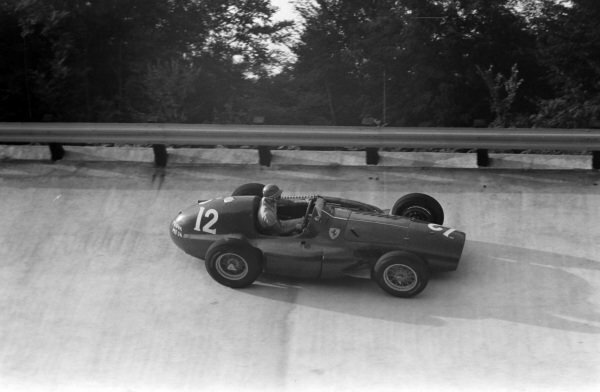 Horace Gould, Maserati 250F leads Jean Lucas, Gordini T32 and Jacques Pollet, Gordini T16. 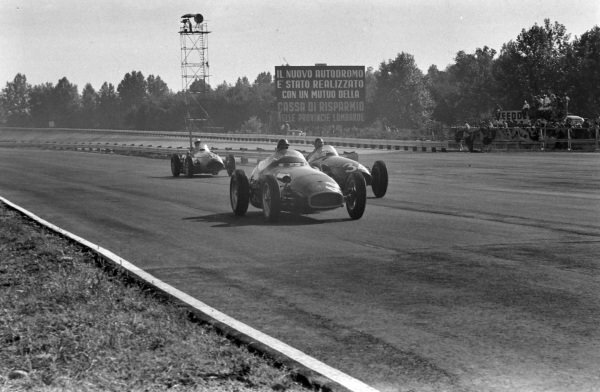 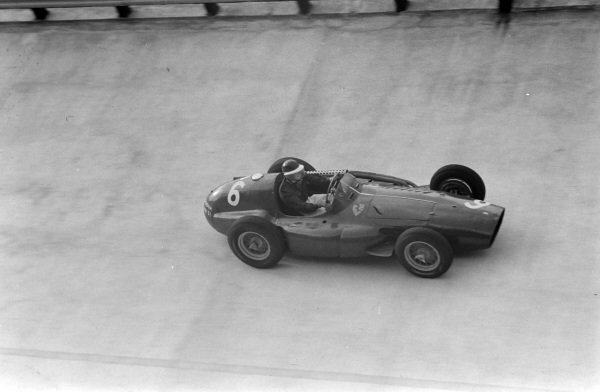 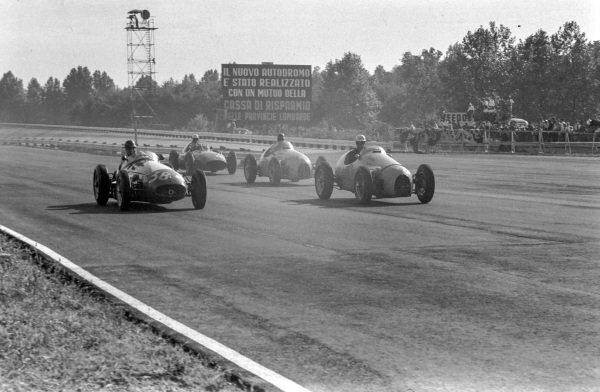 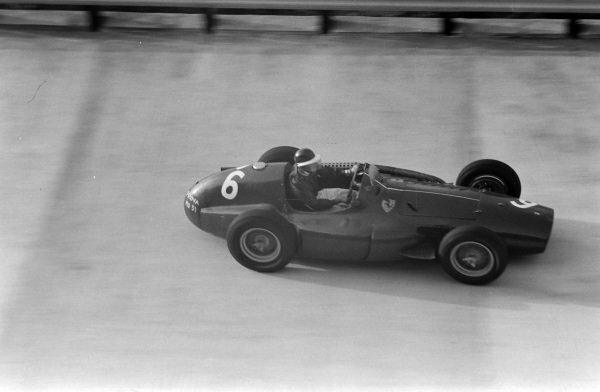 Ken Wharton, Vanwall, leads Carlos Menditéguy, Maserati 250F, and John Fitch, Maserati 250F. 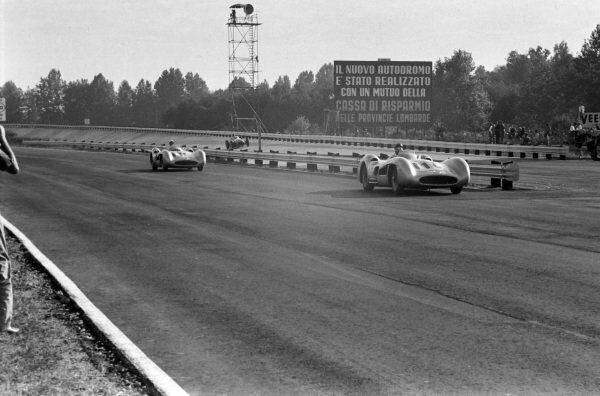 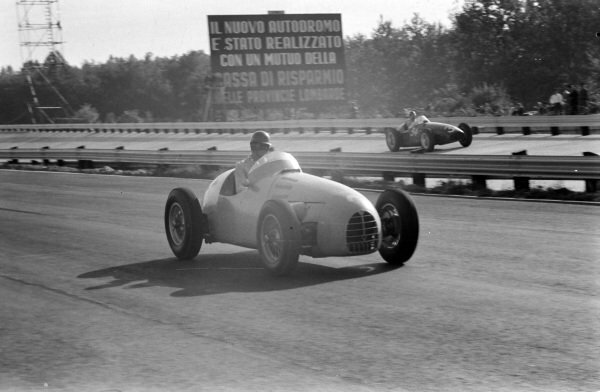 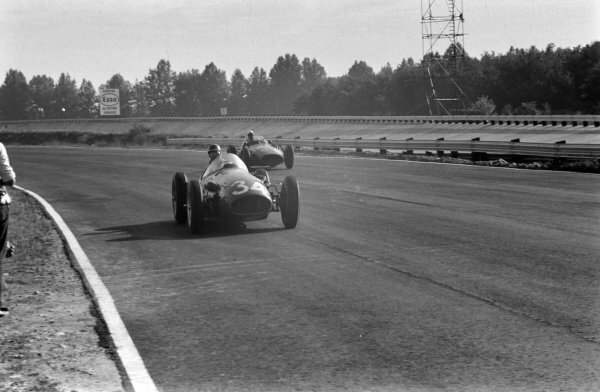 Karl Kling, Mercedes W196, follows Piero Taruffi, Mercedes W196, along the pit straight. 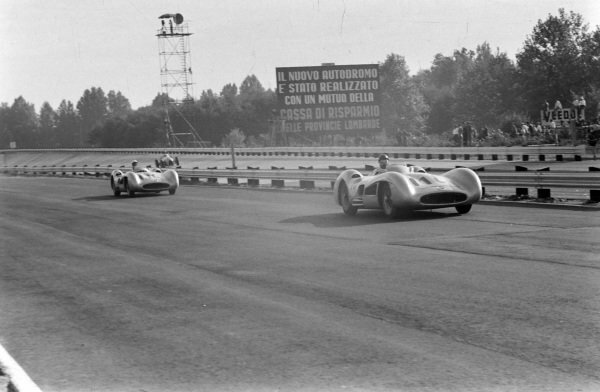 Juan Manuel Fangio, Mercedes W196, leads Stirling Moss, Mercedes W196. 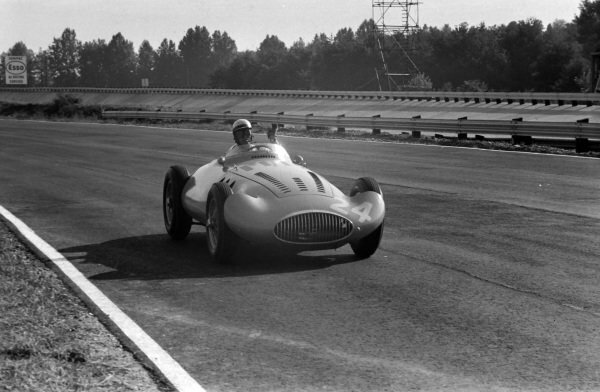 A Gordini T16, with Carlos Menditéguy, Maserati 250F, in the background. 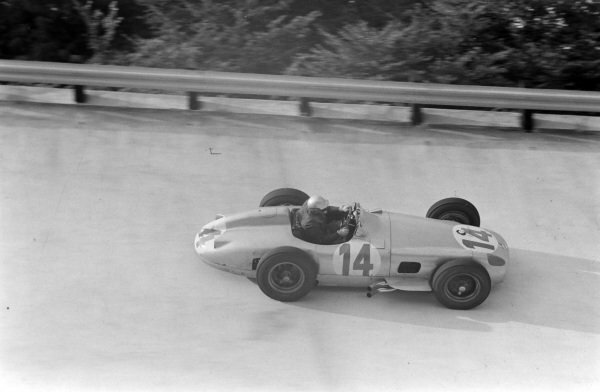 Juan Manuel Fangio, Mercedes W196.